The Game Awards kicked off back in 2014, and after several editions many commentators are now referring to this show as “the Oscars of the video game world”. And this year’s edition was also a success, drawing attention from all over the world to the Microsoft Theatre in Los Angeles, where the event was held. Aside from giving awards to the best games of 2018, quite a few game companies took advantage of the spotlight to reveal their new games in Los Angeles last week too. Amongst these was Warner Bros. which revealed that a new Mortal Kombat is in the works, and will be released on April 23 next year. Mortal Kombat 11 brings back iconic characters like Rayden and Scorpion, while the game also boasts new customization options for outfits and battle moves. This will also be another ultra-violent game in the long-running series as it’s clear from the trailer below, which shows Rayden and Scorpion duking it out in the kind of dark setting the series is famous for. Marvel Ultimate Alliance 3: The Black Order was another top game revealed at the Game Awards 2018. And this will be right up your alley if you like superhero games, and you’ve got a Nintendo Switch. Actually, the game pits renowned characters from the Marvel universe such as Thor and Spider-Man vs the likes of Thanos and Green Goblin, and lets you enjoy multiplayer matches against your pals either locally or online. Also, this is made by Team Ninja, the people behind the infamously difficult Ninja Gaiden series and the more recent Nioh (another very difficult game), so it remains to be seen whether this latest Marvel game will be as challenging as other Team Ninja games when it hits shelves sometime in 2019. Another big reveal at the Game Awards came from Obsidian Entertainment. The US developer revealed that The Outer Worlds, its next role-playing game, is headed to consoles and PC in 2019. Those into RPG games know that Obsidian caused a sensation with Pillars of Eternity II this year, a sequel to its highly acclaimed medieval fantasy game from 2015. The Outer Worlds will be different, a sci-fi RPG more in line with Fallout: New Vegas which does look pretty interesting judging by the reveal trailer below. This could be a hit when it’s released next year, then, and now that Obsidian is on the verge of becoming a Microsoft studio, here’s hoping the US outfit is able to produce a role-playing game that puts the recent Fallout 76 to shame. 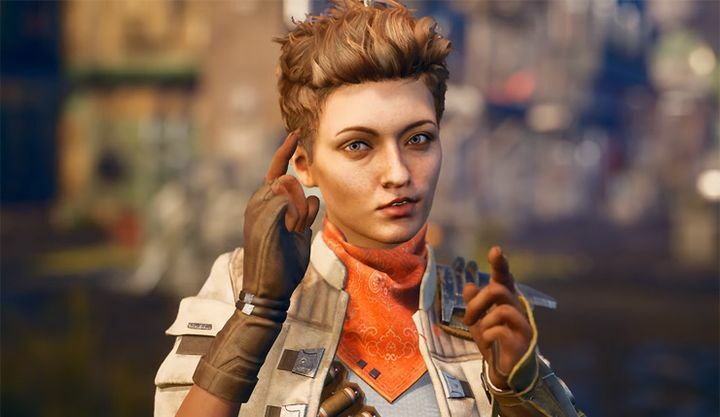 But although the likes of The Outer Worlds wowed many people at the Game Awards, arguably Far Cry New Dawn was the biggest game announcement of the night. This is a sequel to last year’s Far Cry 5, and shares the same setting as that game. Well, not exactly, as Far Cry New Dawn takes place in a post-apocalyptic Montana instead. The game world is rather colourful, though, and not a barren, desert wasteland as you might expect. And judging by the trailer below it looks like Far Cry New Dawn will offer the same great open world gameplay the series is renowned for when it lands on shelves on February 23 next year.